In a setting straight out of a Bond movie, or Star Trek : First Contact, in a remote setting, a long dormant missile silo opened its massive protective steel door yesterday, making way for the launch of a missile designed to carry nuclear destruction on global scale. Moments later, it was on the way to its destination. On the bright side, the destination was a low polar orbit, and payload was a fairly harmless Kondor Earth imaging satellite. 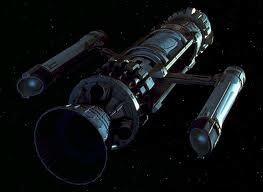 But then again, it didn’t contain a prototype warp drive either, so call it a draw. Anatoly Zak has the complete story at Russianspaceweb.com, and it is an interesting look into this aspect of the Soviet era launch infrastructure which is still providing two closely related small boosters, the Strela and Rockot, derived from the UR-100 series of ICBM’s. One forward-looking item of note, yesterday’s launch could be taken as another sign that Russia is making good on its commitment to overhaul its space assets, both bringing long-delayed projects to fruition while investing in new ones as well.